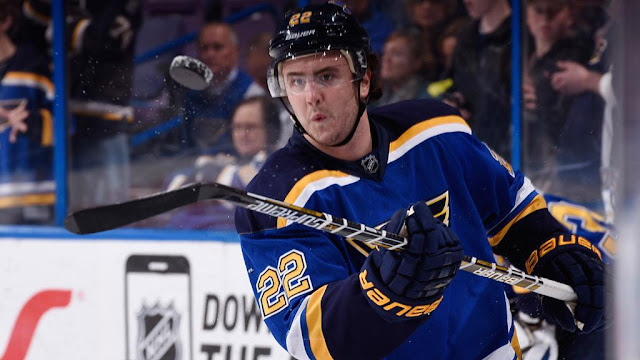 The Kevin Shattenkirk rumours got fired up again this week with reports that several teams - including the Edmonton Oilers - are circling back to ask on his availability. Trade talk around the Blues blueliner peaked around the draft this past summer, with many sensing a trade was imminent. No deal ever materialized. Well, it sounds like things are getting going again. Certainly, the pending UFA puck-moving defenseman will have plenty of suitors lined up, and the asking price will be sky high. In addition to Edmonton, the Bruins, Flyers, Blue Jackets, Lightning, Leafs, Sharks, Avalanche, Red Wings, Ducks and Coyotes have all been linked to Shattenkirk in recent months. It's certainly seemed like the Bruins and Oilers have led the pack in terms of interest. Given that the Blues are fighting for their playoff lives and wouldn't be able to fill Shattenkirk's void in-season, you'd have to think any offer would have to knock their socks off. But if this week's rumours are any indication, they're clearly all ears. Follow NHL Rumour Report on Facebook for the latest rumour updates! Will the Habs trade Tomas Plekanec?